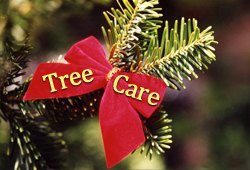 We first planted 4,000 Christmas trees in our Plantation in 2001. From then, we planted 4,000 further trees each year for another 3 years. We grow the traditional Norway Spruce, along with the non-drop Nordmann Fir plus we have tried a few Frasier Fir along the way. The Norway Spruce take around 5-6 years to grow, whilst the non-drop Nordmann Fir can take 9-10 years to reach 6-7ft in height. We started selling from the farm in Dec 2006 when we sold just 36 trees, operating our sales from a small livestock trailer positioned on the grassy area as you walk into the plantation. Since then our sales have increased enormously via word-of-mouth, advertising in local publications, our website and road signage. In Spring 2011 we planted a further 3000 Norway Spruce in a field opposite the current plantation which are growing well. Moving to Spring 2012, we planted a further small field at the back of our farm buildings with predominantly non-drop Nordmann Fir - 1,500 in total. We also put in 200 Norway Spruce which we plan to leave to grow to 20+ ft trees suitable for churches, market squares and shopping centres etc. 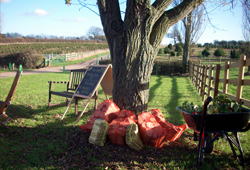 In 2014 we converted another 5-acre field to Christmas trees, planting 10,000 Nordmann Fir - which was quite a task! This will ensure future supply of our Firs. We planted 1,500 Norway Spruce in 2015 in a section we cleared in the main plantation and will continue to clear and replant areas on an ongoing basis each year. In Spring 2017 we planted a new section of 4,000 Norway Spruce in an area of our main plantation. They went into ideal soil conditions and were watered well. These should take about 5 years until cutting. Just before Christmas last year we replanted our small plantation (on the left hand side of our farm road as you are standing at our log cabin) with 2,500 Norway Spruce. These should reach maturity in about 6 years' time. And this year sees our biggest planting venture so far - we will be creating a new plantation in the field directly opposite our farm buildings (as you stand in the 'shop' doorway) and planting 15,000 Nordmann Fir in this field this Autumn. These will be planted using a contractor's machine and we'll be using our Christmas tree tractor to manage many of the operations needed on this plantation over future years. 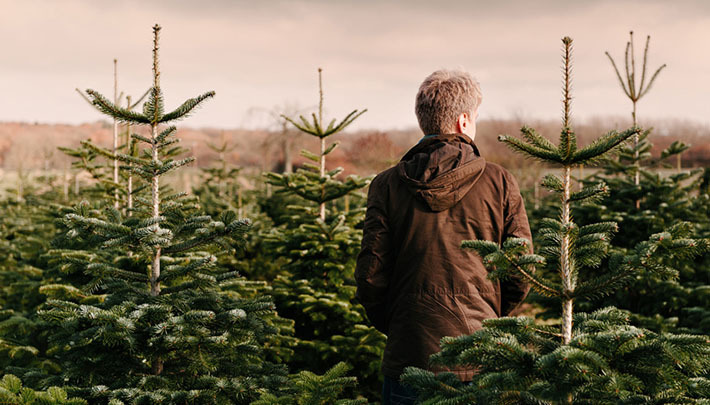 This major new planting will secure our stocks of Nordmann Fir for the foreseeable future and further strengthen our commitment to long-term Christmas tree production here on the farm.